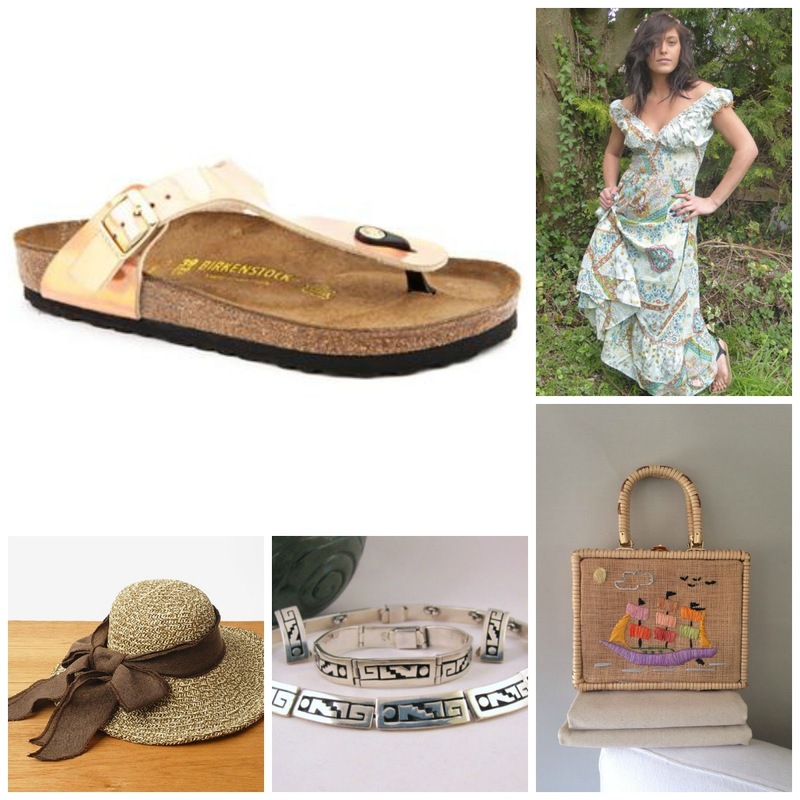 I love summer clothes, all those dreamy floaty dresses, sandals and accessories that are just begging to be bought, the temptation to indulge is incredibly hard to resist. I am lucky that there is a local music festival close to where I live, somewhere I like to go to let my hair down and just enjoy the atmosphere and fabulous local talent that they have performing alongside the professional bands. I decided to capture my perfect summer festival outfit which would also be ideal for a day out or picnic in the park, after all summer is supposed to be about lazy days, relaxing and having fun. Birkenstock Gizeh sandals are my ideal comfort shoe and are currently on sale at Jones Bootmakers. Boho summer dress from Etsy. Floppy summer straw hat from Etsy, I love the vintage 70s style. Vintage Taxco sterling silver necklace, bracelet and earrings from Etsy. Wicker Box Purse also from Etsy, this is so unusual and would go with any summer outfit. These are some of the items I love, but obviously my list is kind of endless. Are you going to any festivals this year? What would be your favourite item to take with you? This post is written in collaboration with Jones Bootmakers. Totally love that unusual bag, just so pretty. I also love Birkies and have a pair I live in every summer.